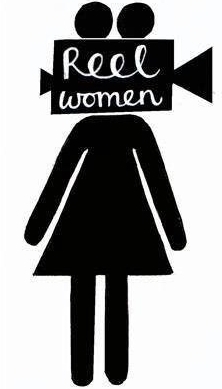 Spoiler alert: she gets her head cut off. Even if most people know her ultimate fate (indeed, the film opens with it) the story of Mary Stuart seems ripe for a new filmic treatment reverberating with contemporary commentary. Centring on two queens, both undermined in different ways by the 16th century’s patriarchy, the film follows Mary (Saoirse Ronan) and Elizabeth I of England (Margot Robbie) trying to outmanoeuvre each other for power in the British Isles. Returning to Scotland to claim her throne (as well as making clear her right to the English one), Catholic Mary Stuart is met with opposition from several angles – the intransigent intolerance of the Protestant nobility (emboldened by John Knox, played with aplomb by David Tennant), the machinations of Elizabeth I to undermine her cousin’s claims to the English throne to reinforce her own reign, and the pressures and misogyny experienced by both women from men who surround them. 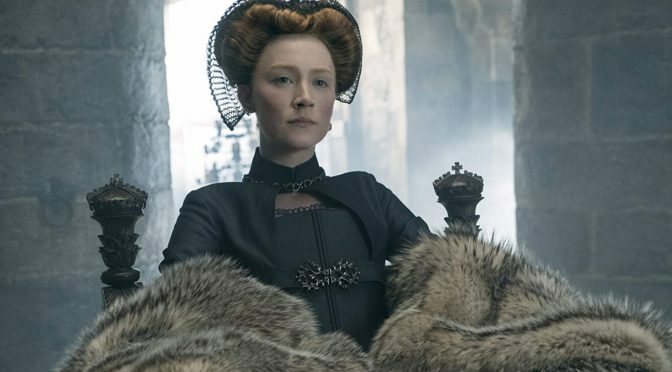 It would be reasonable to expect that with Beau Willimon writing – who began as a playwright – and Josie Rourke – making her first move to features outside theatre – that MARY QUEEN OF SCOTS could feel quite ‘stagey’, as a number of films with this sort of heritage do. Soaring formal rhetoric, elaborate costumes, and a very staid camera setup seem like the hallmarks of most middling historical dramas. It is a credit to Rourke, then, that the film feels very dynamic and cinematic. The full scope of the landscape is used, her frame sweeping across it and coupled with an excellent score. The stony, fire-lit interiors are punctuated with colour from the various outfits. Rourke’s camera is rarely fully static, and (previously responsible for GLADIATOR and LOGAN amongst many others) John Mathieson’s photography elevates what makes it through the lens. It is a credit to Rourke, then, that the film feels very dynamic and cinematic. The full scope of the landscape is used, her frame sweeping across it and coupled with an excellent score. That isn’t to say that the more lyrical visual flourishes work. A dramatically staged scene of a pox-ridden Elizabeth bursting into a fencing practice in despair seems preposterous. A face-to-face meeting of the two queens may be historically inaccurate, but that isn’t the real issue with it – the dramatic trajectory demands it, and the dialogue is better written than other scenes. The true issue is it is shot more like a perfume advert: bed sheets artfully hung everywhere to obscure the women’s view both literally and metaphorically, gently brushed aside one at a time in soft light. The acting across the board is of a high standard, however. Ronan projects strength in the face of opposition, Robbie conveying the attempt to do so undermined by inner paranoia. Supporting turns are uniformly well delivered, with James McArdle as Mary’s half-brother, the Earl of Moray, Jack Lowden as Lord Darnley, and David Tennant standing out. It is with the script, penned by another theatre alumnus in former House of Cards showrunner Beau Willimon, that the film feels decidedly less sure-footed. The self-interest and misogyny of the men of each court is clear through their actions, however the script robs the film of much chance to adhere to the old show-don’t-tell approach in spelling this out to the audience (even occasionally at the cost of coherent plot flow). Mary declaring that men’s “love is not the same as their respect” and considering a new marriage, but “not if I am owned” feel like moments designed for promotional material and awards reels, not the narrative situation or flow of the film. This is especially the case when the script otherwise conveys this – permeated with male demands of women, denigration of their aptitude for rule or reason, and a Knox-led mob shouting “Death to the hoor!”. Without a figure like one of the Underwood spouses to knowingly break the fourth wall, or a soliloquy for Mary to deliver in her chambers, little trust is placed in the audience to piece the themes together from actions rather than words. This is a shame, as much of the script blends the political and personal concerns of the characters very well. Mary’s actions and more subtle control of scenarios – throwing out Knox, outwitting her hopeless drunkard of a husband, inspiring service from non-Catholic soldiers – put across her leadership and feminist credentials in far better fashion than those more unsubtle trailer-ready moments. Elizabeth’s personal isolation in a male-dominated court obsessed with her marital and reproductive goals is contrasted well against her thoughts on Mary: a fine line between admiration and jealousy; the blurred boundary between vigilance and paranoia. Overt grabs for relevance come across as more of a desperate plea in the dialogue of MARY QUEEN OF SCOTS, when such an obvious approach is not needed. Is a modern reassessment not the very reason for John Guy’s factual book which underpinned this reenactment? The blatantness of it undermines the more subtle tones of a visually sweeping film blessed with strong performances. There are many jewels in this crown, the crown itself just needs a bit of extra polish.